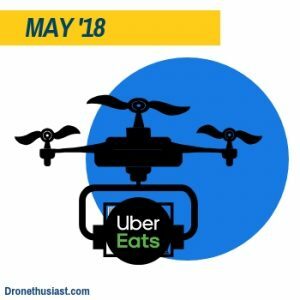 Welcome to the Monthly Drone Roundup, a new once-a-month article series that Dronethusiast will be creating in partnership with other drone news organizations across the web. 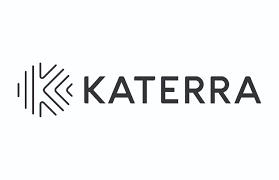 As the premiere site for drone news, reviews, and editorials, we want to start showcasing some of the best writing and video production in the industry no matter where it comes from. 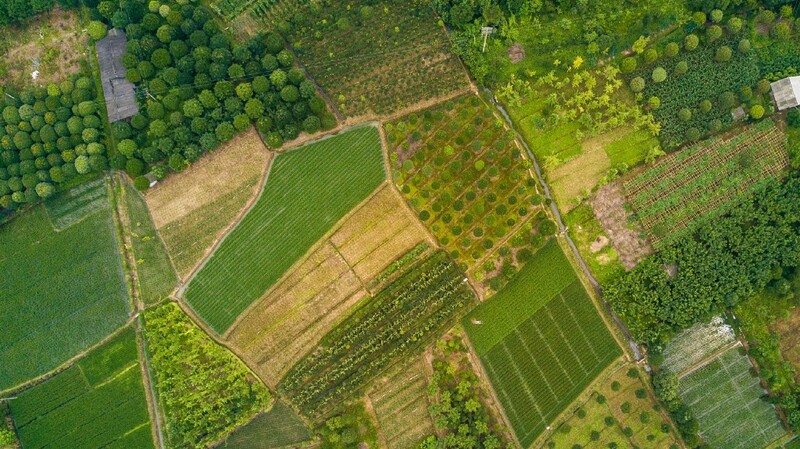 And what better way to start this series than by taking a look back at the best drone content of the last year? 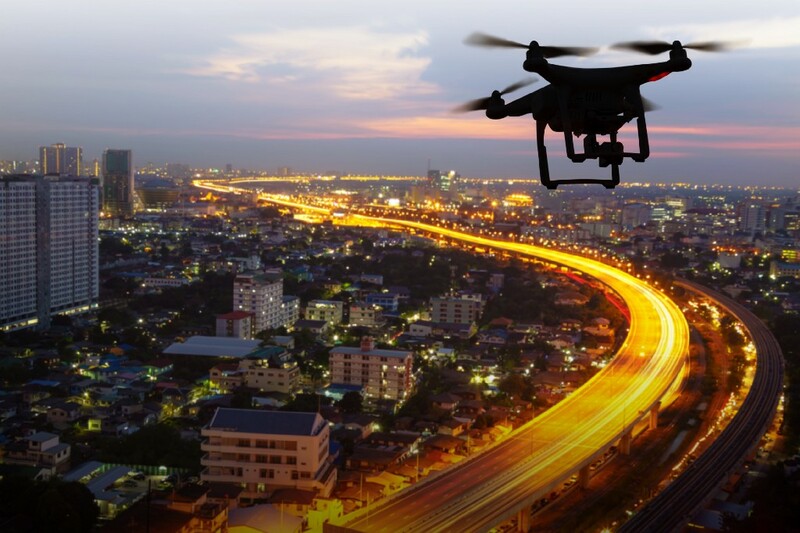 Whatever you think of 2018 in terms of global politics, natural disasters, or big business, there’s no denying that it was another banner year for the drone industry. We saw exciting, innovative releases from major companies, new leaps in videography, and promising country-wide shifts in regulation. Here’s a look back at all the drone news that mattered, compiled by the Dronethusiast staff. 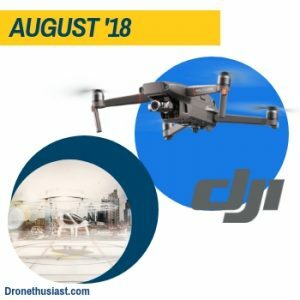 2018 was one of the best years ever for Chinese juggernaut DJI, and it started with the release of the Mavic Air on January 28th. Every site (including ours) had its own reviews and features about the compact prosumer camera drone, so it was hard to pick just one to feature for this article. In the end, we’ve decided to highlight Adam Clark Estes’ piece for Gizmodo, since he was the first to break the news. In photography, the popular photo-sharing site Dronestagram teamed up with photo editors at National Geographic to bring us what they considered the best drone photos of 2017. The DJI Phantom 4 remained the most popular drone used in these photos, which included Martin Sanchez’s “Falling from the edge of the lines” and the absolutely jaw-dropping “Concrete Jungle”, by a user known as bachirm. 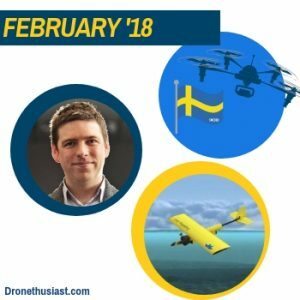 In February, Sweden became the next country to officially regulate (and therefore officially authorize) civilian drone usage. Our friends at UAV Coach put together this handy, easy-to-follow guide to everything Swedish pilots need to know about the new laws. In commentary, Dr. Christopher J Fuller of the UK’s University of Southampton published an excellent and thorough piece on the United States’ history of military drone usage, carefully examining the most controversial elements of the program. There have been many articles written on this subject, but few as nuanced as Dr. Fuller’s. 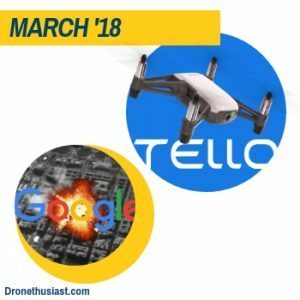 The big news in March was the release of the Tello, a $99 drone created as part of a partnership between DJI, Ryze Tech, and IBM. Our review of this drone is still one of the most popular articles on the whole site, but we’ll take a minute to spotlight Jim Fisher, a Senior Analyst at PC Mag, who put together the most comprehensive guide to the programming side of the vehicle. Meanwhile, several events in March raised concerns about violations of privacy involving drone technology. 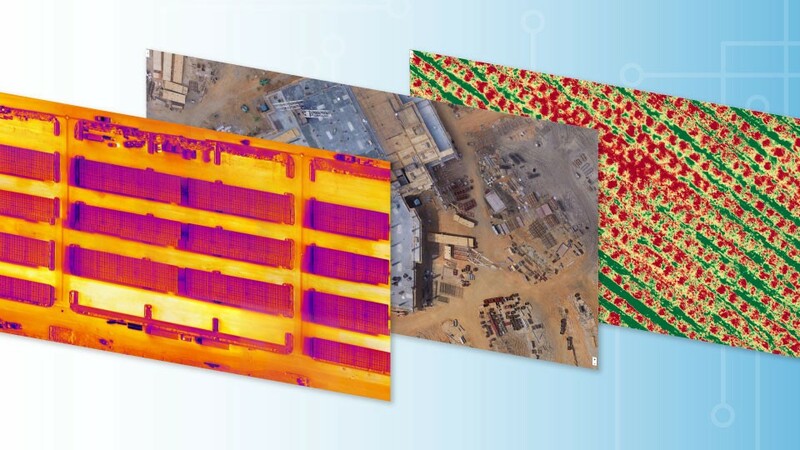 The New York Law Journal released a report on the ways in which data collected from drones could be exploited by malicious hackers, and Google announced a partnership with the US Department of Defense to develop artificial intelligence for analyzing drone footage. 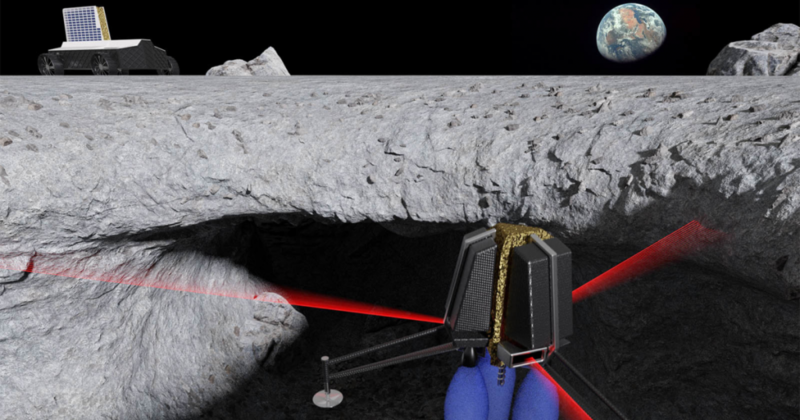 This was the controversial “Project Maven” that captured headlines throughout the rest of the year – reported on here by Gizmodo’s Kate Conger and Dell Cameron. 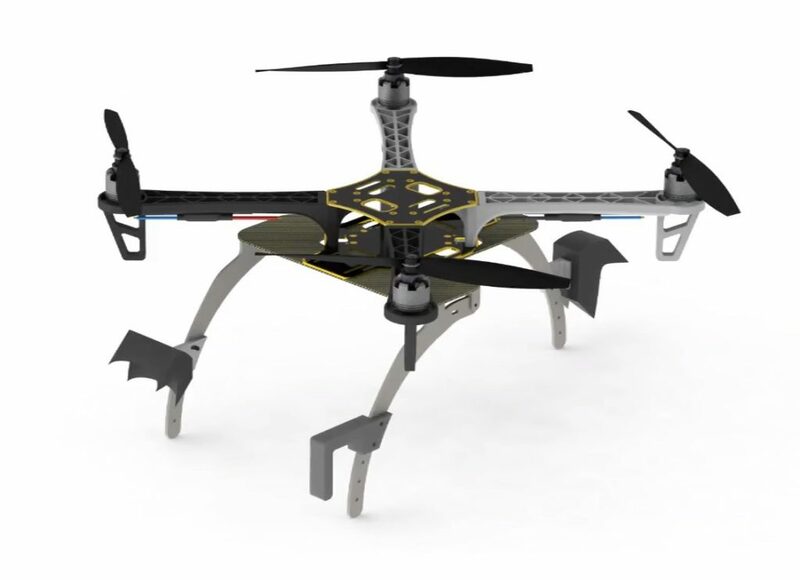 April saw the release of GDU Technology’s O2 sliding arm drone. The so-called “Mavic Killer” was hyped as a major competitor to DJI on release, but by and large disappointed. 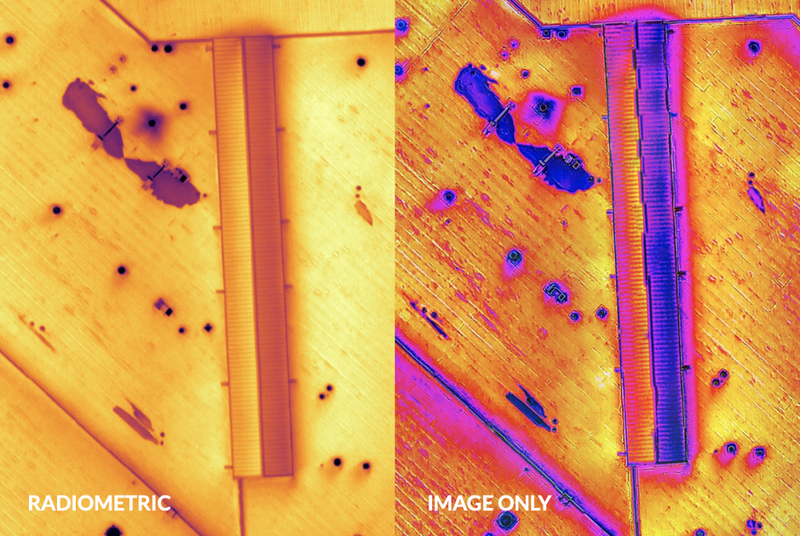 You can read our own review here or check out Erik Adams’ part-by-part comparison to the Mavic Air below. The Project Maven story continued with over 3,100 Google employee’s protesting the company’s involvement, as reported by the New York Times. 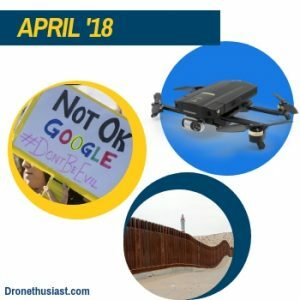 And drones became part of the biggest news item of the year when the U.S. Department of Defense announced that they would be deployed to monitor the Mexican-American border. 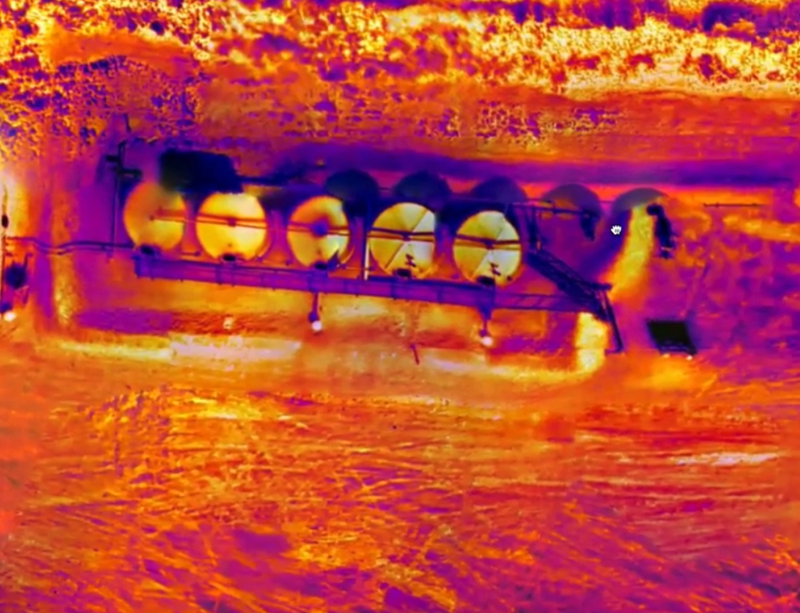 Dronethusiast offers no political perspective on this issue, but we’ll refer you to the Washington Post article that broke the news. 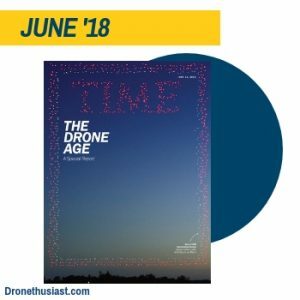 June had one of the most exciting pieces of mainstream drone reporting ever when the June 1st edition of TIME Magazine featured a cover story report proclaiming the arrival of “The Drone Age.” The cover itself was a work of art – a photo of 958 Intel Shooting Star drones pre-programmed to form the shape of the magazine’s iconic logo. 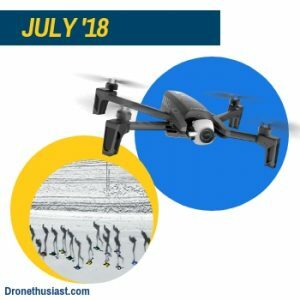 With July came a lot of exciting drone content, starting with the release of the Parrot Anafi. 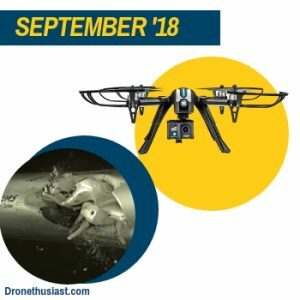 This was one of our very favorite drones of the year, but it should be noted that it had several problems at launch, and The Verge’s Vjeran Pavic did a great job of communicating those problems in a manner so effective we cited his work in our own review. July saw one of our absolute favorite events of the year: the 2018 Drone Photography Awards. The grand prize winner was wildlife photographer Florian Ledoux, whose photo “Above The Polar Bear” (taken with a DJI Phantom 4) captures a polar bear’s journey across the shrinking ice that once covered its home. “Above The Polar Bear” is both an absolutely gorgeous piece of art and a scathing indictment of climate change. In a postponed announcement that was originally supposed to take place the month before, DJI finally announced and released the highly anticipated Mavic Pro 2. Of course, we found out then that it was actually going to be called the “Mavic 2,” and that it would be coming out in two versions known as the Pro and Zoom editions. The Mavic 2 is unquestionably the most advanced drone release of the year – though certainly not the most accessible. While we’re proud of our own reporting on the Mavic 2, we’d like to highlight Drone Supremacy’s unique video review of the product, which covers two months of usage and features some of his own stunning video footage taken with the drone. Link: DJI Mavic 2 Pro Review After 2 Months – Is It Really THAT Good? 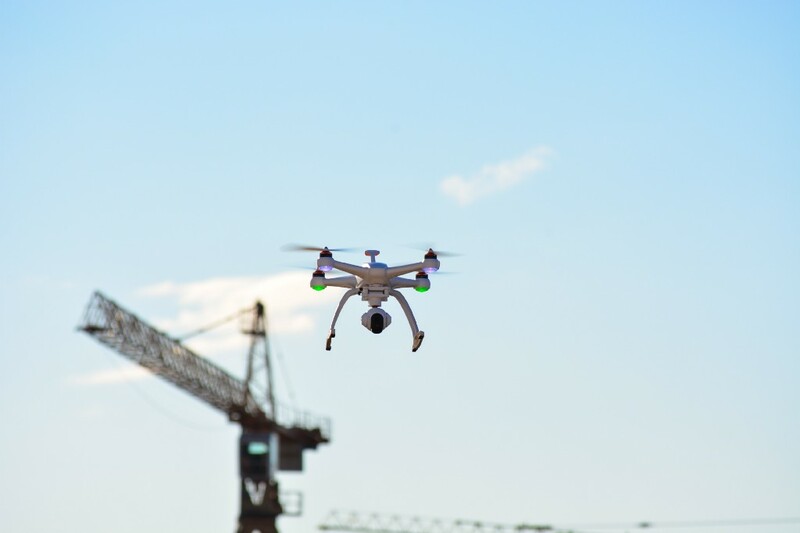 August had one of the most exciting pieces of news in terms of improving drone infrastructure across the globe, as Skyports landed a contract to start installing quadcopter landing and recharging pads across London. Skyports’ CEO, Duncan Walker, spoke to Dezeen in an enlightening interview. 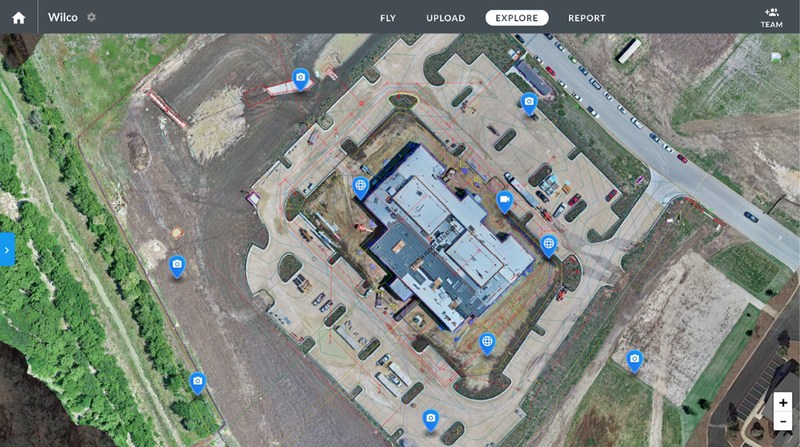 September saw another exciting release – Lincoln-based startup Altair Aerial’s first drone of the year. 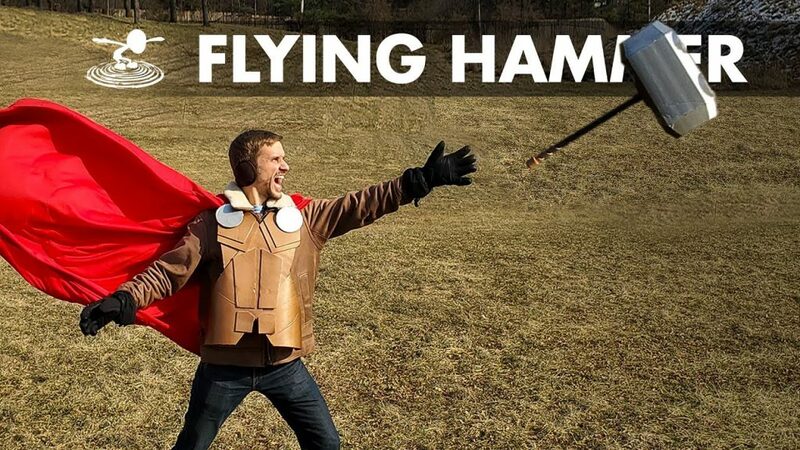 The Tomahawk has quickly become a favorite of the GoPro hobbyist crowd, and you can see Blue Collar Reviews’ video coverage of the aircraft below. Researchers at the University of Dayton also had a video of their work, showing exactly what happens when a drone hits an airplane wing in slow motion, go viral. Link: Risk in the Sky? 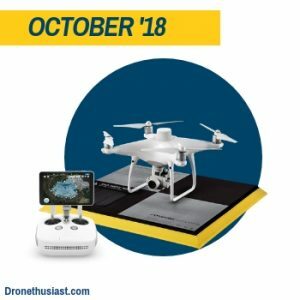 With October came two more new Altair Aerial products, plus DJI’s final release of the year: the DJI Phantom 4 RTK. 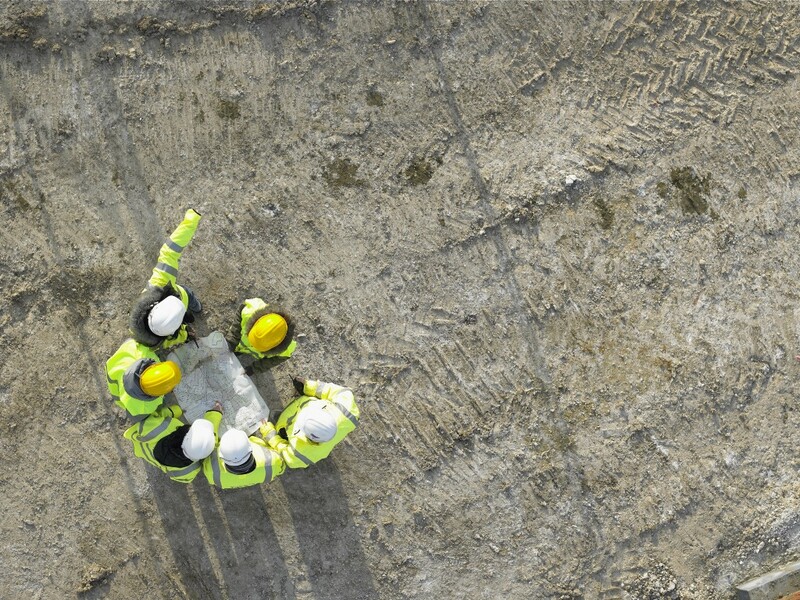 This is DJI’s response to the massively growing aerial survey field of drone use, but it’s too early to say whether it will really be the “game changer for construction surveying” the company promised, especially considering its egregiously steep price. 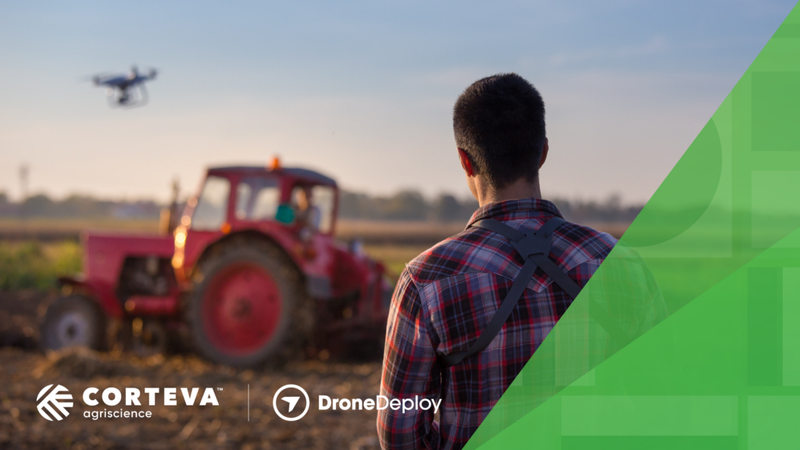 Our friends at Drone U weigh in below. 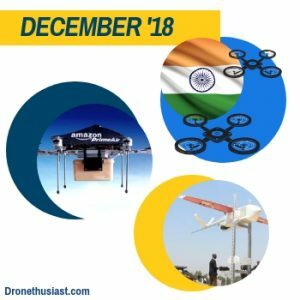 Overall, 2018 was a year where drones made great strides in being adopted and accepted in more countries across the world. 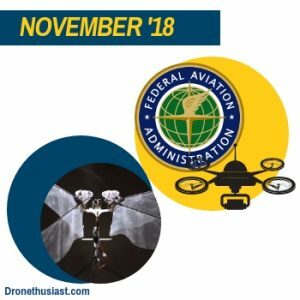 But in November, the Uniform Law Commission proposed a new model for drone legislation – one in which decisions would be made at the state level instead of being made by the FAA – that could potentially cripple the American commercial drone industry. Many articles were written criticizing the proposal, and BGov’s Michaela Ross does an excellent job summarizing the many problems detractors have with the plan in her article below. In lighter news, DelFly showed off its new Nimble drone, which uses biometric design to flap its wings like an insect. 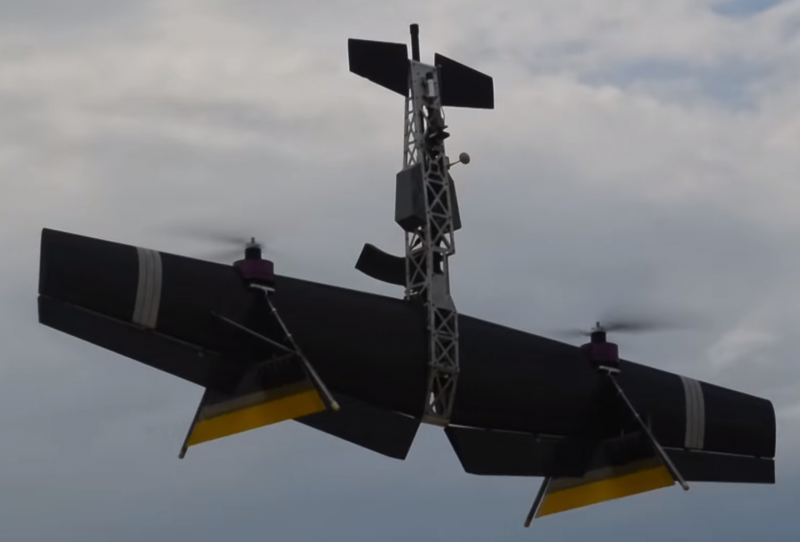 This was one of the coolest drone innovations of the year (even if the Nimble itself isn’t quite ready for primetime), and you should take a moment to see it for yourself in the video below. 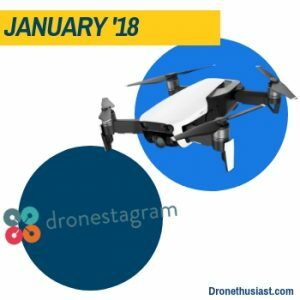 Even though it’s at the end of the year, December brought with it snow, presents, and lots of drone news. First, India’s new drone regulations went into effect, legalizing civilian drone use in the Asian country. 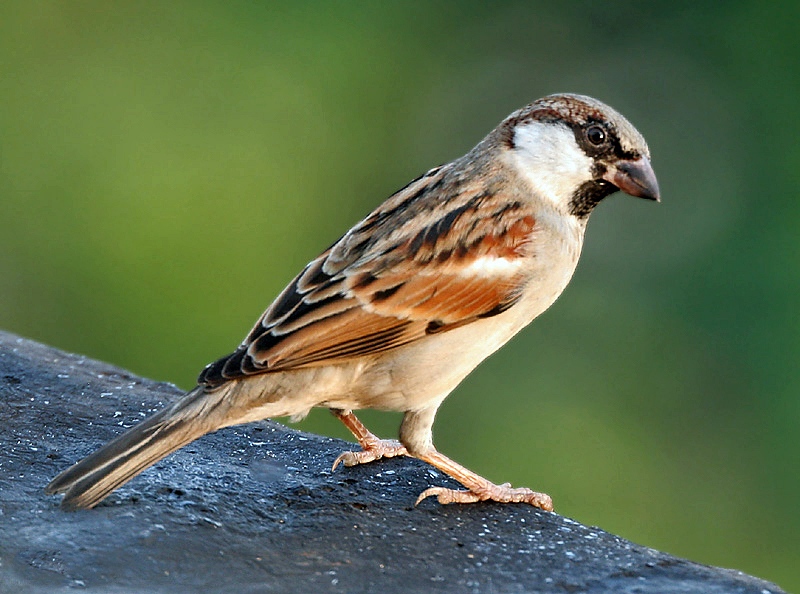 Business Today India has a smart summary of the major legal points. Then there was the official announcement that Amazon’s five-year drone delivery plan had failed, and that they might not even be pursuing drones as a viable concept anymore. Matt Novak of Paleofuture provides valuable insight into the situation. Finally, Ghana partnered with Zipline to create a new fleet of drones to deliver medical supplies across the company, but did so in a way that may not directly help its citizens. Here’s Ghanan reporter George Nyavor to explain the controversy. 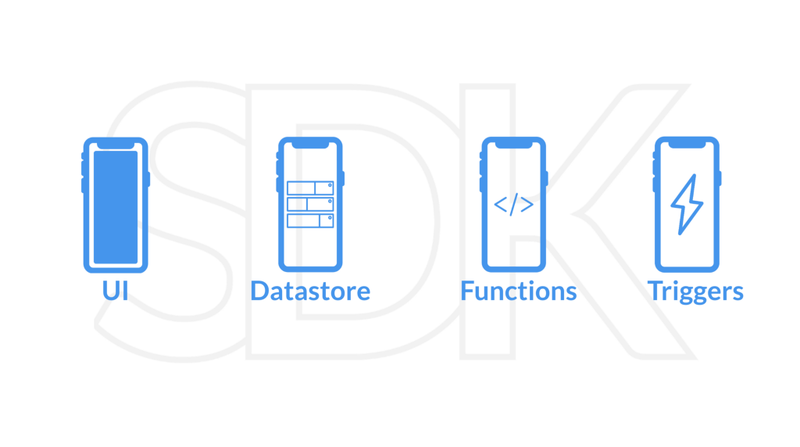 It’s been a big year for the industry, and we were excited to get to be a part of it. Let us know if there’s a major story we missed in the comments. Until then, we’ll see you in 2019!